Unfortunately, as we get older we tend to be more vulnerable to feeling lonely. Loneliness and social isolation can affect anybody in the later stages of their life, even if they don’t live alone or have a large family. According to Age UK more than a million people don’t speak to a friend or family member regularly, with some going for more than a month without that essential social contact. Loneliness isn’t just detrimental to mental health – it can also lead to a decline in physical health and general wellbeing. Older people can start to feel isolated after the death of a spouse or if they become less mobile and can’t get out and about as they used to. However, it’s important to remember that loneliness can affect anyone of any age, and can often become the start of depression. Nobody wants to see a neighbour or relative lonely, but it can be hard to find time to visit every day or week. Sometimes older people may find many of their family members have moved away so there is a distance to travel, which makes visits less frequent. Here are some ways pensioners and the elderly can fight the feeling of loneliness. More and more people are starting to receive care in their own homes, giving older people independence for longer. Whether you have a carer visit once a day to administer medication or hire a live-in carer to take care of you full time, these people can become vital for social interaction. Carers are approachable and won’t mind having a friendly chat with their clients – especially as they may be the only person the elderly person sees from day to day. When you spend lots of time by yourself at home, it’s easy to think that you’re totally alone with nobody nearby who cares. In fact if you actively seek out a community group, you’ll probably find there are many people in the neighbourhood the same age with similar interests. Whether it’s a church choir, a walking group or a bridge group, getting involved in the local community can provide companionship and fill up empty days and evenings. Keeping up with friends and relatives who live far away can help you feel connected. 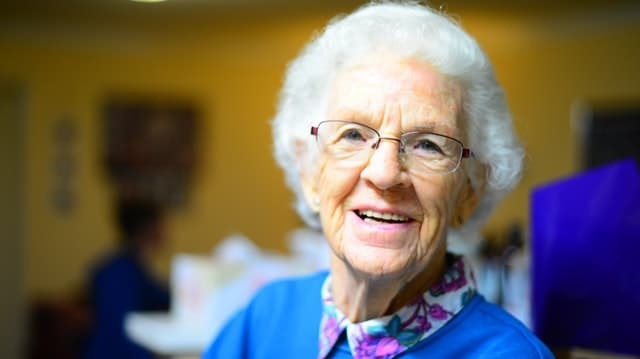 Many elderly people are not confident using computers but the modern wonders of email, social media and video calling can be important tools in preventing loneliness. Ask your grandchildren to set you up on a tablet or laptop, or visit your local library community centres to see if they run any computer courses. If you are suffering from loneliness, visit your GP or contact one of the many charities or helplines set up for the elderly.